A Middlesbrough takeaway has been forced to close after a serious mouse infestation was discovered. 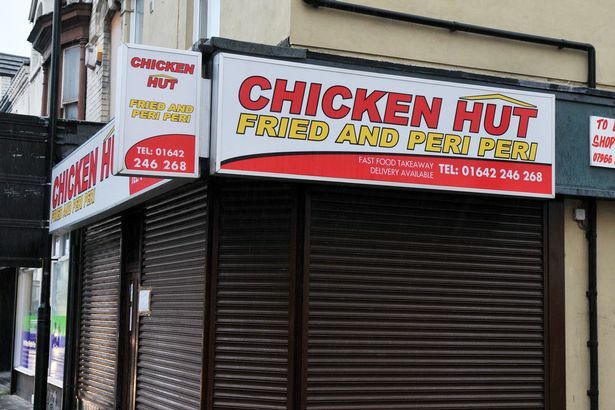 Environmental health officers used emergency closure powers to shut the Chicken Hut takeaway in Borough Road during a routine food hygiene inspection on Tuesday. Middlesbrough Council environmental health manager Judith Hedgley said: “We discovered serious risks to public health including a widespread mouse infestation, poor standards of cleanliness and other contraventions of the food hygiene regulations. The council closed the business using its emergency powers under the Food Hygiene (England) Regulations 2006, and on Thursday, a Hygiene Emergency Prohibition Order was granted by Teesside Magistrates’ Court to confirm the actions of the Council and to keep the takeaway closed. A sign on the building says the takeaway has been closed because of an “electrical fault”. The premises will not be allowed to re-open until environmental health officers have again inspected the premises and are satisfied it can be operated without risk to health. Councillor Charley Rooney, Middlesbrough Council’s Executive member for regeneration and economic development, said: “The conditions found in this food business were wholly unsatisfactory and led to prompt action being taken by the council’s environmental health officers to protect consumers from serious health risks.